The full battery charge usually for emergency use. plug in your car charger into the unit while driving could be better. If you want to update your map,please contact with the CARMATE Service center and get a free way. The branded design is exclusively offered by CARMATE.and we will support a free way to update. 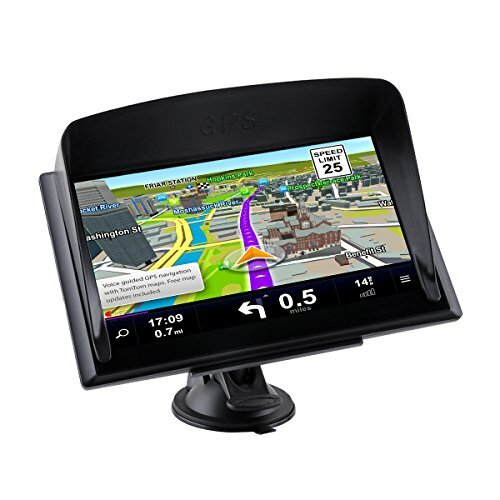 This GPS Navigation support million of additional new and popular restaurants, shops and more with its map. With bluetooth you can drive safely with hands-free calling and upload any pictures or musics with your phone. 7 inch capacitive resistance screen, reacting fast with your fingernail. With a sun visor, Does not affect your use in the glare of light. If you have any questions about this product by CARMATE, contact us by completing and submitting the form below. If you are looking for a specif part number, please include it with your message.